Eau Claire native Paul Menard earned his first Top-Ten finish of the year in the NASCAR Sprint Cup circuit. Menard took eighth on Sunday at the S-T-P 500 in Martinsville, Virginia, and he rose one place in the season point standings to 21st. Matt Kenseth of Cambridge placed 15th, and he remains Wisconsin’s top driver in the Sprint Cup standings in 14th, one spot higher than last week. Kyle Busch won the race and Kevin Harvick remains the Sprint Cup series’ leader. Wisconsin’s Matt Kenseth says NASCAR is “unfairly” making him out to be an example with his two-race suspension for retaliating against Joey Logano. The Cambridge native failed to have his suspension reduced or overturned Thursday in two appeals before a national motor-sports panel and final appeals’ officer Bryan Moss. Moss did reduce Kenseth’s probation from six months to the final three weeks of this season. Kenseth says NASCAR has no clear rules for penalizing drivers who retaliate, and he won’t change his style due to what happened. Logano knocked Kenseth out of the Chase for the Spring Cup three weeks ago by spinning into him at Kansas. Last Sunday, Kenseth retaliated by driving Logano into a wall at Martinsville, all but eliminating Logano from season title contention. Kenseth, the 2003 champion, can return for the year’s final race at Homestead-Miami in two weeks. Matt Kenseth’s racing team says it will appeal a two-race suspension handed down by NASCAR on Tuesday, for intentionally causing an accident that may have ruined Joey Logano’s chances of winning the Sprint Cup title. Joe Gibbs Racing says the penalty is more severe than others in the past for similar incidents. The Cambridge native was nine laps behind when he drove Logano into a wall last Sunday at Martinsville. Two weeks before, Logano made Kenseth spin, which led to the Wisconsin driver’s elimination from the Chase for the Sprint Cup with four races left. NASCAR says Kenseth had no chance of winning last Sunday, and he intentionally altered the outcome of the race. It dropped Logano to last in the current field of eight, with only a slim chance of making the final four this weekend. NASCAR chairman Brian France says a strong penalty is justified, because Kenseth should not have taken such payback into his own hands. Danica Patrick was fined $50,000 for wrecking David Gilliland’s car on purpose in the same race. 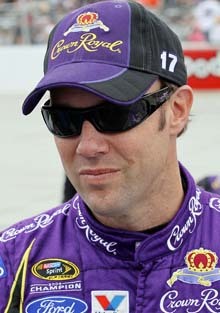 Cambridge, Wisconsin native Matt Kenseth led for 146 of 200 laps, winning Nascar’s Pure Michigan 400 on Sunday. 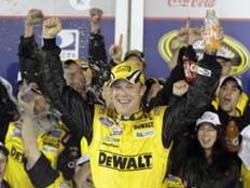 Kenseth started in the lead and stayed there for much of the race, earning his third Sprint Cup victory of the season and 34th of his career. It was also the fifth win in the last six races for Joe Gibbs Racing. Kenseth led for 73% of the laps on Sunday, the highest percentage by anyone in a Sprint Cup race this year. He remains in 7th positions in the point standings. 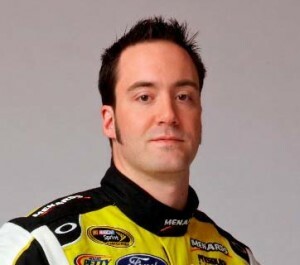 Eau Claire’s Paul Menard finished 12th and Janesville’s Travis Kvapil was 40th. 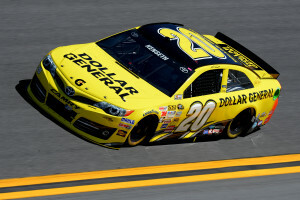 Cambridge, Wisconsin native Matt Kenseth took the checkered flag, winning the Windows 10 400 at Pocono Raceway on Sunday. Kenseth captured his 33rd career win after Kyle Busch ran out of gas on the final lap. Busch, who had won the last three Sprint Cup races, finished 21st. Brad Keselowski, Jeff Gordon, Dale Earnhardt Jr. and Greg Biffle rounded out the top-five. 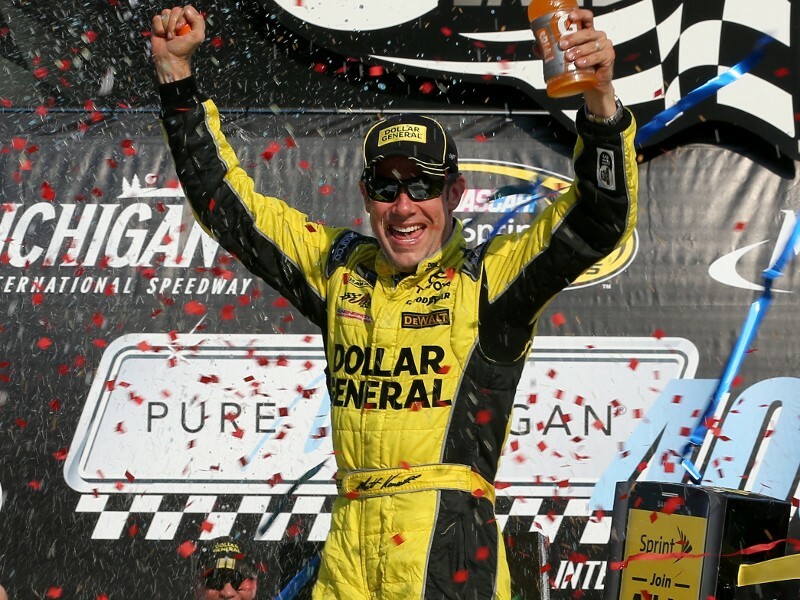 Kenseth made it five wins in the last six races for Joe Gibbs racing. It’s his first win at Pocono. Kenseth locked up a spot into the chase for the Sprint Cup Championship shootout. Cambridge-native Matt Kenseth failed to win a NASCAR Sprint Series race in 2014, and had not crossed the finish line first since September 22, 2013. That span of 51 consecutive races without a win ended Sunday when Kenseth took the checkered flag of the Food City 500 at Bristol Motor Speedway. Kasey Kahne grabbed the lead on a restart following a caution with 23 laps to go and held off Matt Kenseth in a two-lap shootout to win the NASCAR Sprint Cup race at Atlanta Motor Speedway on Sunday night. It’s Kahne’s first win of the season and earned him a spot in the Chase for the Sprint cup. Kenseth also qualified for the Chase on points. Tony Stewart’s much-anticipated return to racing ended a little more than halfway through the race. He hit the wall for the second time after his right front tire blew out on Lap 172, ending his night with a 41st place finish. Kenseth began the night fifth in the points race, but not yet locked into the Chase because he had no wins. Kenseth needed to finish seventh or better to secure his place in the playoffs. Brad Keselowski snapped a 37-race winless streak, becoming the first non-Chase driver to win a Chase race since 2010. The defending Sprint Cup Series champion, who failed to qualify for the Chase this year, grabbed his first win of the season and first since Sept. 30, 2012. He passed Kasey Kahne with nine laps to go to take the checkered flag. Kahne finished second and Chase points leader Matt Kenseth third. Kenseth remains in the playoff point lead with 2,225. That’s a slim 4-point lead over Jimmie Johnson at the midway mark in the Chase for the Championship. Kevin Harvick pulled away from Kurt Busch and Jeff Gordon on a late restart to win a wreck-filled race at Kansas Speedway. With the win, Harvick moved into third in points behind leaders Matt Kenseth and Jimmie Johnson. Kenseth, who finished 11th in Sunday’s race, has a slight 3-point lead over Johnson in the Chase for the Sprint Cup Championship. There were 15 cautions in the race, breaking the record of 14 set in last year’s race. Harvick sat on the pole for the first time in 254 races. He also won the last time he qualified first, at New Hampshire in 2006. The entire top 10 Sunday was made up of Chase for the Sprint Cup championship drivers. Joey Logano, Jeff Gordon and Kyle Busch rounded out the top five. Cambridge native Matt Kenseth, who won the first two Chase races, finished seventh. He kept his points lead even as he fell short in trying to become the first driver to win the first three Chase races.